If there is one thing that you must have a strong initiative and drive for in Disney animation hands down it’s sincerity. The Disney films are largely centered around real, powerful, and compelling emotions and feelings, making them have to be completely honest and sincere. To have such a sincere film you have to find an animator who can give you that Disney touch, someone who can animate a character in a very subtle and believable way. This is especially important when you’re dealing with characters that the audience needs to believe in for the picture to work at all. Few have as rich and natural understanding of the Disney style, sincerity, and the subtleties of animation of the quality the Disney name has earned as Mark Henn, number 10 on our countdown and the subject of today’s post. Mark Henn was born in 1958 in Dayton, Ohio, where he grew up. In his boyhood he grew two very strong passions that have stayed throughout his life. One is Mark’s love and fascination with American history. “I grew up in the Midwest which is close to lot of American history,” he reflects. “I’ve just always had a strong interest in American history and the people and events that helped shape the country, good things and bad things.” The other was Disney animation. “It was pretty much a boyhood dream for me to become a Disney animator,” said Henn. “I’ve always been fascinated by Disney animation since I was a small boy.” Particularly inspirational for him was seeing Cinderella, because of the charm and warmth of the story, and the Reluctant Dragon, because it showed actual animators working and exposed him to the fact being a Disney animator is something you can do for a living. Mark attended a community college in Ohio before moving out to California to enroll in the character animation program at the California Institute of Arts in 1978. For teachers he had many excellent veteran Disney artists such as Jack Hannah, Elmer Plummer, Jack Kinney, T.Hee, Bob McCrea, and Ken O’Connor as teachers while he had classmates that would become greats at the studio such as Mark Dindall, Tony de Rosa, Brian McIntee, and the late Joe Ranft. At Calarts Henn’s natural and intuitive understanding of the subtleties of Disney animation started to show but it would still be a while before he would come into his own. “I had enough talent to make it easier for me than most but I still had to work hard to keep up,” he recalls. In late 1980 Mark Henn was hired by Disney animation studios and started in the training program where he was mentored by Eric Larson. 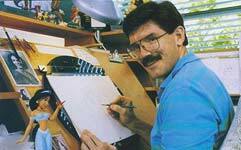 “Eric passed on the Disney philosophy about animation,” wrote the animator. “His thought about sincerity influences all we do in animation. I remember he advised us to learn from the past but to bring our own sensibilities to our animation.” Among the other people who helped teach him at Disney were Walt Stanchfield, who taught him how to draw the Disney way through his classes held at the studio, and Frank Thomas and Ollie Johnston, who for his first year were still at the studio writing their book the Illusion of Life. 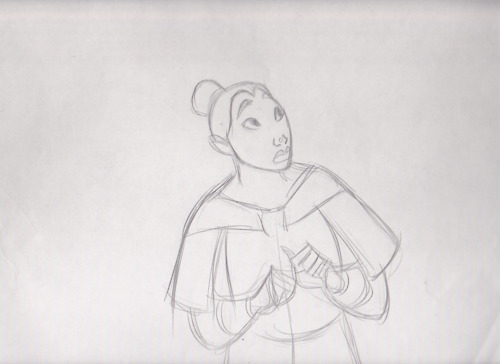 Henn’s rookie work at Disney was inbetweening a little bit of animation in Glen Keane’s unit on the bear fight in the Fox and the Hound at the very end of that production as well as inbetweening in visual effects on it. 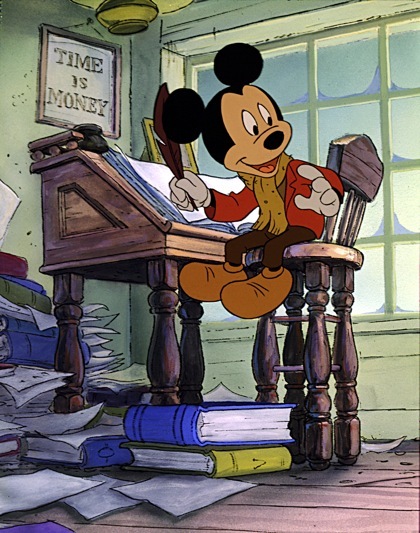 However, it was his first assignment as an animator that would make his talent and understanding of Disney animation clear to the world: animating Mickey Mouse in Mickey’s Christmas Carol. “It was very natural for me,” explained Mark. “I actually felt very comfortable stepping in the Mickey shoes and the Christmas Carol project was so exciting. For me being my first big assignment it was a chance to shine so I was very eager to do the very best I could and I did everything I could on that film” His animation of the iconic character is very heartwarming and sincere. Study his scenes of Mickey frame by frame and you’ll just by seeing the first work he did understand what make Mark Henn special: he animates a Mickey that is very humble, innocent, and unselfish using subtle movements, reserved but meaningful expressions, and true warmth to make the audience feel sympathetic for him. It is all subtle and every movement and gestures communicates character and has meaning. 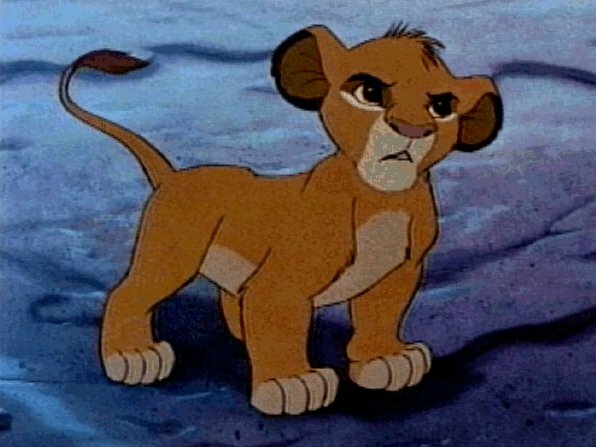 This was also the first collaboration between Mark and Burny Mattinson, who directed the featurette (he would later storyboard many of Henn’s best scenes such as the Whole New World scene in Aladdin and the scene with Simba and Mufasa in the stars in the Lion King. Burny is a good match for an avid thumbnailer and scene planer like Mark because he approaches his boards like they were thumbnails making them easy for the animators to use and expand on.) After Christmas Carol he moved on to the Black Cauldron, where he was on for a brief time. Although he did only a few hundred feet on the film Mark primarily focused on animating Gurgi in his first appearance in the film. Gurgi is the broadest character he’s animated in his career and the broader, looser acting flared with the sincerity and charm of his other animation does work in the sequence, even though the film was by this time unsavable. 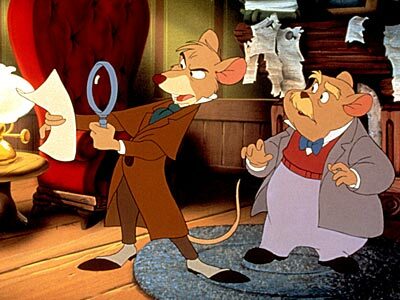 Next came Henn’s debut as a star animator and the first of many films where he did the most footage of any other animator, Basil of Baker Street later renamed Great Mouse Detective. On the film he primarily focused on Basil, Dawson, and Olivia while doing Ratigan in a few scenes where he’s confronting Basil. Mark’s work on Basil is a more refined version of the sincere, character-driven animation he did with Mickey three years earlier. For inspiration he extensively observed and sketched the actors of Basil and Dawson recording their lines and a lot of the poses and attitudes from the recording session make it back in the final film. Great contrast: Basil is confident and courageous while Dawson is cautious and laid back in nature. I love how the character relationship and personalities of the characters is so extensively defined by Mark. They’re completely believable and their gestures really give us a glimpse into what they are feeling but in a subtle, natural way. 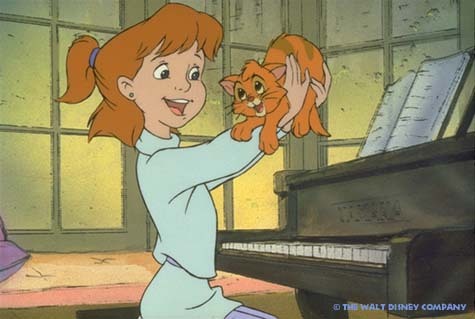 On Oliver and Company Mark Henn wound up being a supervising animator again this time on Oliver and Jenny. This is a significant film because it marks a gradual change in his style over the years where instead of having a lot of round, caricatured shapes (a lot like let’s say Fred Moore’s style), emphasis on lines, and distinct, spaced out poses as in much of his earlier work his style became more smooth and drawn in a way that is very light but is very powerful in many ways like the style of Ollie Johnston. Oliver in particular has one of these new components used well that would later become vital to Mark’s work: an important on light, sensitive physical contact and touching between two characters. “Having two characters touch helps to create a more genuine sincere scene” he advises on making a scene juicy and high quality. I really love the contact between Oliver and Jenny; it’s very warm and meaningful in a way his previous work wasn’t. Up next came another huge film for Henn, the Little Mermaid, where he co-supervised Ariel with the great Glen Keane although Mark animated the character first. “We all played around with different designs but when Glen came on he pulled all of them together,” he explains. 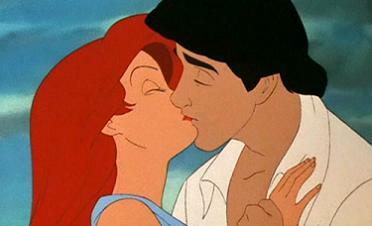 In terms of characterization there are some notable differences between his mermaid and Keane’s mermaid. 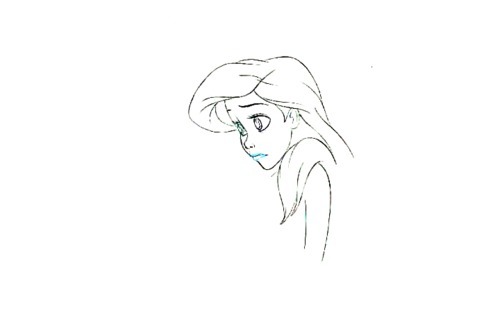 While Glen Keane gave Ariel a burning, dynamic desire to become a human and strong, mature emotion of love towards Eric to Ariel Mark took a little more relaxed approach to the character and tried to put the problems and emotions of teenage girls in her to make her and her story believable. Unlike some cases where two supervisors on a character doesn’t necessarily work out it actually has its advantages in Mermaid since both are needed for the story to work: Ariel has to be sweet enough and be believable as a teenager to make her connect with the audience but she has to have the emotional strength and maturity to not only make it believable she can truly fall in love but also make her passion and desire strong enough so when the transformation does happen it’s very powerful and compelling. In terms of style Keane’s girl is more tied down and solid in terms of anatomy and construction while Henn’s is a bit more simplistic, has bigger eyes, and has more pointed hair. “Just in terms of the fact I was dealing with a mermaid I tended to look a lot at footage of how seals move around and that,” explains the animator. “Facewise, I just tried to find something that was very appealing. We wanted to do something different. We didn’t want to draw Daryl Hannah. She worked fine for splash but we had to make out mermaid a little different and younger. I think we just worked till we’d feel we had a face, a design, that we all felt was appealing and easy for everyone to animate. We had a live action actress named Sherry Stone who was very good. That was the first time I had really worked with live action but that worked out very well. We talked with her about different ideas that she acted out. So we had video reference to use as we started developing our animation for a scene.” In terms of working together Glen did a lot more supervising while Mark did more footage. While Keane spent a lot of time dealing with the more powerful, intensely emotional scenes such as Part of Your World Henn animated a lot of the scenes where Ariel doesn’t have a voice such as the one where she’s having dinner with Eric and Grimsby as well as her first scene at the beginning of the film with Flounder (animated by the great Barry Temple), the touching scene where she sees Eric for the first time, the section where she is debating whether or not he loves her, and the final kiss at the end. In 1989(the same year Mermaid was released) a huge change occurred in Mark Henn’s career: he moved out to Florida to become part of the nucleus of the staff being started at a small Disney animation studio starting in Orlando, Florida at MGM. ‘When it was first announced that they were going to open a small animation studio down there I wasn’t crazy about the idea,” he remembered. “I thought it wasn’t a good idea, that it would dilute the specialness of the Burbank studio. So I wasn’t very excited about it but I spent a lot of time thinking about it. Then I thought if they feel they need this studio in Florida then it needs to be at the same quality and ideals of the Burbank studio. I realized after a year that instead of complaining about it I should do something about it. So I decided that I’d like to go down and make sure that this studio that had the Disney name on it is a quality Disney studio. So I went down.” At the beginning there were only 78 employees at the Disney studio and originally it was primarily intended to do shorts and Mickey Mouse featurettes but the studio’s talent hit off so well and did such high quality work that they were given pieces of the features to do not long after. Among the other veterans at the studio at that time were Barry Temple and David Stephen, although the later man only stayed one year. Henn did a lot of mentoring to the great mix of young talent at the studio and was crucial to helping them grow into great animators and be able to do work of the same quality as the ones the guys in Burbank were doing. “Mark Henn was my mentor when I was first starting out and he would ask me questions about my animation such as ‘Why is he doing that?’ or ‘Is that a nervous or sly smile?’,” wrote Tom Bancroft. “If I didn’t know the answer to these questions it was obvious to him that I really hadn’t thought out what I was doing.” The first feature he did animation on in Florida was the Rescuers Down Under, where he supervised the animation of Bernard and Bianca done in the Florida Studio. Then on Beauty and the Beast Mark was the supervising animator of Belle for the Florida Studio, even though he actually did more footage than California supervisor James Baxter. At that time Baxter was only 23 years old and he was sick for a lot of the production, giving the other animator a lot of key scenes. 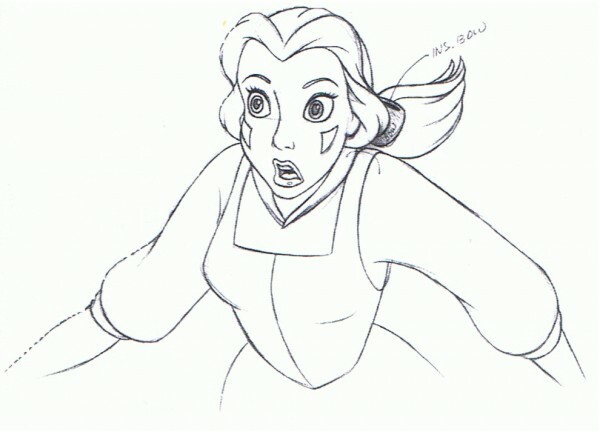 Among Henn’s scenes are the one where Belle meets the Beast for the first time(recommended for your freeze frame list for subtle character acting scenes), the one where she bandages the Beast’s arm, her sneaking into the West Swing(another good one that shows the characters thoughts through light actions and slight expressions), the Something There sequence(shows a very solid, intelligent character arc showing the changes in Belle’s feelings towards the Beast and what she wants in life), and all of her in the Beast death and resurrection scene. “When they decided to do the song Something There, Don Hahn and the directors told us that were going to give us that sequences,” he explains. “It’s a great sequence. I loved doing that. I love to animate to songs. I love musical theater; I have my entire life. To be able to not only act but also now kind of sing as an animator is for me a lot of fun. It’s something that brings rhythm to animation.” One thing that’s interesting is that even though James was supervising the character and was more important in the designing most of the major character arcs and emotional acting scenes are done by Mark. This is another good contrast because he gives a warm, sincere side to Belle while James makes her sophisticated and more uptight, making her character believable and rich. 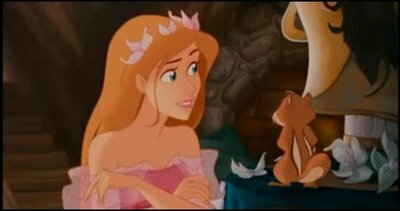 We see the sophisticated version at the beginning of the film, showing us that this girl is older and more independent than heroines such as Ariel, but through these crucial character arc scenes we begin to see her sweet, sensitive side making us believe that she could possibly fall in love with the Beast. Also at Florida Henn was given an excellent assistant named Dan Gracey who worked as his right hand man for all his years at the Florida Studio. Gracey is one of the greatest assistants in Disney history and was known for his specialization in female characters. On Mulan Mark Henn did what is my opinion his best work and really has some of the best subtle acting and strength of character ever done at Disney. “Mulan’s story was so unique and compelling that It just captivated me from the beginning,” he fondly reflects. “Certainly one of the greatest memories was the simple fact I got to go to China for research. 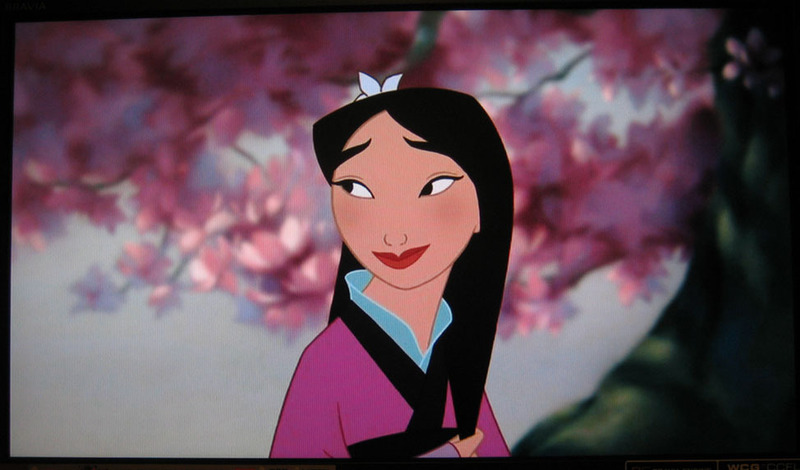 I felt a great honor to bring her story and character to life because her story was so popular and well-known there.” Mulan is without question the strongest and most aggressive heroine lead ever to be in a Disney film: she even poses as a man and goes in the army so her older father won’t have to. 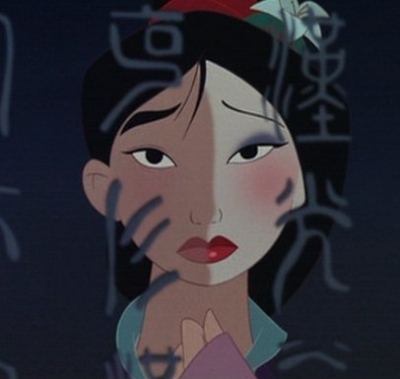 I highly recommend studying the scenes Henn did of Mulan because they show you how to put great inner emotional strength and soul in your character. On that film he also animated Fa Zhou, Mulan’s father, and using the emotions he has towards being a father to his daughter animated one of the strongest and most compelling character relationships in a Disney film ever. After Mulan Mark directed John Henry, a beautiful stylized short, which tells the story of the tall tale and exhibits the animator’s love and passion for American history. Although he was originally intended to supervise Stitch in the Florida production Lilo and Stitch he moved back to California in 1999 making him not able to be part of the official crew although he did animate the Hula dance sequence in the film animating in Burbank. For the next four years Henn animated four characters in the box-office flop and critically panned Home on the Range: Grace the cow, Weasley, Rusty, and Pearl (he finished the character after Bruce Smith left the production.) Although he animated a ton on the film his work on it doesn’t have the richness of character and tremendous warmth of most of his work. After Home on the Range Mark Henn encountered another hard production: Meet the Robinsons, his first film in CG animation. 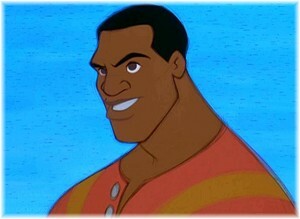 Although he animated some good scenes of the protagonist Lewis he struggled with the transition to computer animation and found the assignment very difficult. “I love to draw more but there’s room for both,” Henn simply states. After Robinsons he was farmed out to James Baxter Animation where he animated Giselle the princess in her first scene in the film. 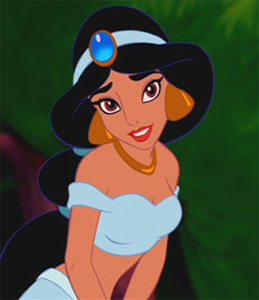 However soon hand-drawn animation was revived for good on the film the Princess and the Frog and Mark’s assignment as supervising animator on Tiana, the first black Disney princess, turned out to be a huge comeback for him and since he has been an important leader of the hand-drawn staff. 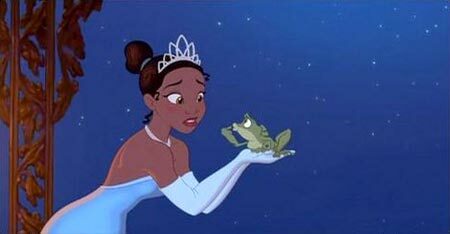 On Frog he did some of his best animation ever and animated Tiana in three different forms: as a little girl, a young woman, and a frog. Tiana is a very strong heroine who is a very hard worker and has to learn through the film that she needs to have time to appreciate and be with the people she loves as well as give herself a break. On the film the animator animated a textbook example of a great character relationship and character arc scene: the one where she teaches Naveen to mince the mushrooms. This one shows the audience Tiana is beginning to become a little more easygoing and not just focused on hard work. Throughout the film you’ll notice if you study Henn’s scenes a great transformation emotionally of the character throughout the film that is really inspirational to me in how to get inside the heart and soul of your characters. On the next film, Winnie the Pooh, he supervised the animation of Winnie the Pooh and Christopher Robin. Today Mark Henn is still at the Disney studio and has recently animated 2d pencil tests for the CG animators to use on the Snow Queen as well as now is working on another upcoming Disney film. Stylewise there is a very strong “less is more” tactic in Mark Henn’s animation. As I described in detail above he rarely uses broad action and shows the character’s emotions through subtle, soft gestures and expressions. Touching and physical contact are also very important assets Mark uses when he animates. As for his character conception process he wrote: “It is always challenge to create a new character. It all begins with the story. Characters and who they are start with the story. I believe most of our current characters are richer and deeper because the stories we are telling are stronger. I always try to put myself into my characters given the variety of situations they find themselves in but largely I give the stories the biggest credit for the richness of the characters. Next comes the physical appearance and finding out who this character is and how that will be portrayed with their unique movements especially if you animate several characters that are the same time and the same role.” Henn also credits his own life experience and acting classes as very inspirational in the development of his approach to animation and his feelings when animating a scene. As I mentioned above he is a very fast and can get through scenes in a hurry. As for his secret Mark says it’s all about the thumbnailing process. He sorts out all his ideas on one sheet of paper and loosely works out the general poses, expressions, and acting possibilities figuring out exactly what he’s going to do BEFORE he animates. Henn’s animation is very classic and a lot of the warmth and sincerity of the old time Disney animators is found in his work. His understanding is pretty organic and his stuff also feels very natural. “I try to make my animation feel natural and not seem like it’s taken from a book or formula,” he said. Last in terms of design Mark’s characters oftentimes have big eyes to make his subtle expressions resonate well. 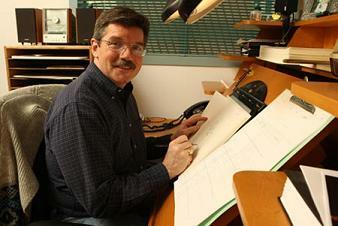 Mark Henn is a very influential figure in the history of Disney animation and is very important in helping revive quality, sincere animation to the studio. He also was one of the first to really embrace the idea of having stronger, richer characters that are more proactive and aggressive in the films as well as really build upon the strong character relationships developed by the story department. “Most of the girls in our films I’ve done are much more aggressive and have a much more active part while the earlier heroines were a bit more passive,” explains Henn. “Things happened to them, more so whereas a lot of our stories tended to get a little more complicated plotwise. As for the role the girls took, there was a much more involved process. They make things happen, they make decisions.” This type of approach to the leading roles, particularly with the heroines, started by Mark has really influenced the studio into making more dynamic and passionate main characters. Also he is significant because of the great mentor he has been, especially at the Florida studio. Henn basically turned Disney Florida from what would have been just a small satellite studio making shorts to a quality studio making feature films. It is heartbreaking that studio is no longer in existence but some of the young talent found there now work at Disney in Burbank as some of the top artists in the studio. Last I think that the great subtleties, warm, sincerity and usage of classic Disney principles in Mark’s animation has really influenced the studio forever. Only Ollie Johnston and arguably Eric Larson have ever animated as subtle as he does. Henn is a great company men and I’m sure he will continue to be a top talent at the Disney studio as a phenomenal animator and giving mentor. Mark Henn has been a great influence and hero to me. His less is more approach and use of warm, subtle animation is very inspirational to me and has inspired me to try to sometimes try to hold back in my work to give the gestures and light movements more meaning. I love the way Henn lightly uses his pencil to give a magical “touch” to the paper having very soft lines but they’re really powerful and show great emotion. I try to emulate his philosophies on sincerity, character, and thumbnailing to try to make my animation and artwork more sincere and stronger. I have had the great fortune of getting to communicate and to a degree know Mark and have learned a lot from writing to him. I can tell from the little contact we have he cares very much about Disney and really wants to do the best, most sincere work possible. He also is very honest and genuine. Thank you Mark Henn for your contributions to the art of Disney animation and for being a great hero and inspiration to me as well as so many other people! This entry was posted on October 1, 2011 at 1:00 am and is filed under Uncategorized. You can follow any responses to this entry through the RSS 2.0 feed. You can leave a response, or trackback from your own site. I’d like to thank you very much for introducing me to Mark and giving so much insight. As I read through these posts I feel as if I’m learning so much more about these talented artists than I ever could have dreamed. Your very welcome Laura. If you need any information or analysis for your blog as well as recommendations for people to write about please let me know. Ah, a fast animator, eh? Mark Henn sounds a lot like Norm “Fergy” Ferguson who also drew very fast or “scribbled” almost! 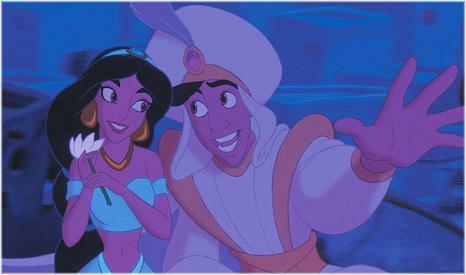 What’s the all-time record for footage by a Disney animator & who holds the record? I’d like to know! Is there a video to demonstrate and compare Mark Henn’s animating styles with other animators like Glen Keane, the Old Nine Men, and so on. I would love to see that. Because, for some reason, I’m trying to grasp the “animate a character in a very subtle and believable way”. That part would be interesting to demonstrate. What a wonderful biography! Do you remember painting a picture of Jesus with his back to the piano conversing with a boy holding a trumpet? You painted it for Ward Zerkle in Trotwood. The picture is huge and sparks many conversations for its subject matter (Jesus in ancient dress, the boy in modern clothing) and the unusual proportions of hands and feet to the body. I am Ward and Vesper’s daughter, Zandra, and have the privilege of seeing it in my living room every day. My father passed away in 2002 (parkinson’s), and my mom is now 96, living in the Greenville Brethren Home. All this is to say, ‘thank you’ for the wonderful gift you gave to our family – perhaps in memory of my brother, Scott? ?